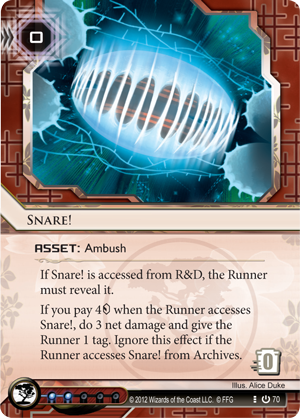 Everyone in Android: Netrunner has a number of tricks up his or her digital sleeve, but some factions focus more than others on developing their arsenal of ambushes. While Shapers and corporations like Haas-Bioroid may employ some surprising modifications or gambits, they tend to focus on brute technological strength and efficiency. Anarchs tend to be more unpredictable – at least, at first – but many often settle into a pattern of the same chaos repeated time and again. You can only trash so many pieces of ice with viruses before a Corporation is going to figure out what it is you’re doing. 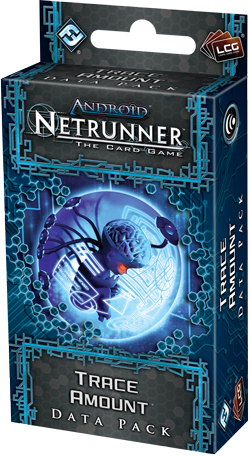 Criminals and NBN tend to keep a lot of their secrets closer to their chests, using events and operations at key moments to bypass ice or tag Runners, but if there’s one faction in Android: Netrunnerthat’s most synonymous with tricks and traps, it’s Jinteki. With cards like Snare! 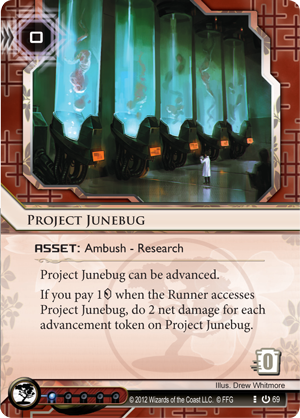 ( Core Set , 70), Project Junebug ( Core Set , 69), and a series of ice like Cell Portal ( Core Set , 74) that focus more on manipulating runs than simply ending them, the Core Set established Jinteki as the Corporation of grand schemes and inscrutable designs. Even its identity card,Personal Evolution ( Core Set , 67), developed the idea that Jinteki always has another button to press or lever to pull; there’s always something more, behind the scenes, that Jinteki holds in store for Runners so brash as to run on their servers. Now, as the Genesis Cycle adds more options and focus to each of the game’s different factions, Trace Amount introduces even more tools for Jinteki players to keep their opponents off-balance. 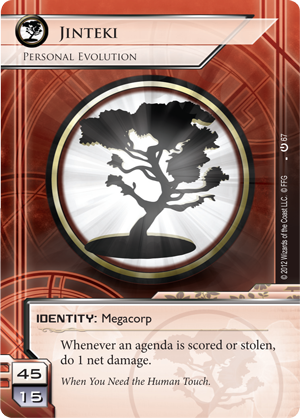 Throughout the Genesis Cycle , each of the game’s seven different factions receives a new identity card, which offers unique tactical benefits and opens up new strategies. Jinteki receives its new identity,Replicating Perfection ( Trace Amount , 31) in Trace Amount . 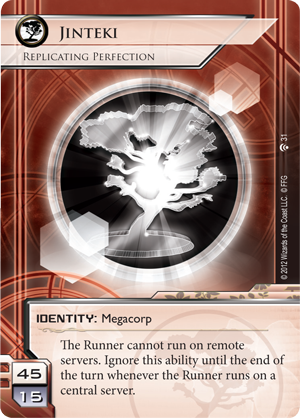 Again, Replicating Perfection portrays Jinteki as a Corporation with a keen eye to how it redirects any Runners seeking to steal its data. But where the Personal Evolution identity presented a Jinteki that was quick to react, Replicating Perfection gives us a Jinteki that has taken greater strides to force Runners down the servers of its choice. Of course, these are its central servers: HQ, R&D, and Archives. Here, the principle is that when you know where your guest is bound to arrive, you can be certain that you’re ready to greet him or her properly. What is the proper way for Jinteki to greet a Runner? Again, the traps come to mind. Jinteki is a faction that one could imagine best played with a naiveté or innocence that manages to convey sincere astonishment at the Runner’s downfall. You congratulate your opponent when he successfully accesses your cards, and then you feign surprise when he stumbles into your Snare! or is trapped by your Project Junebug. Other Corporations, like Haas-Bioroid and The Weyland Consortium, often focus on building massive servers layered with ice upon ice upon ice. 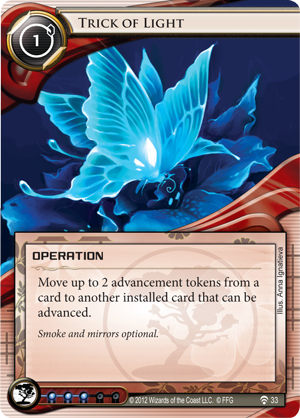 Jinteki can do this, too, especially if it purchases outside ice, but Jinteki has a unique flexibility that permits it to succeed with other, more daring strategies. It is not uncommon for Jinteki players to create a large number of remote servers, simultaneously advancing them all and daring the Runner to take the bait. 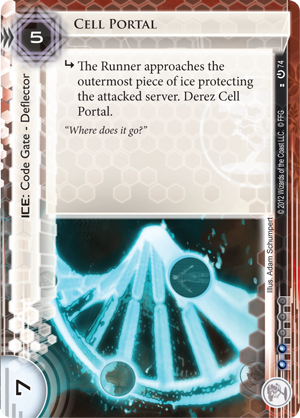 Will the Runner try to hack into a server only to find a trap and suffer some net damage?The Runner has to ask himself, did the Jinteki player advance the trap or the agenda? Did the Jinteki player even install an agenda? Replicating Perfection provides an additional layer to this gambit, forcing the player to run against a central server first – presumably one with some nasty ice – only to have to use a second click to run against a remote server…and good luck guessing which remote server hosts the agenda and which host the traps! The tricks become even more dastardly with the introduction of Fetal AI ( Trace Amount , 32), an agenda that also acts like a trap. Here, the Runner finds trouble if it runs on the wrong server, and it’s still trouble when he actually manages to find the agenda. Moreover, Fetal AI doesn’t just deal net damage when the Runner accesses it, it actually slips away unless the Runner spends two credits. Another new card, Trick of Light ( Trace Amount , 33), also plays perfectly into Jinteki’s “many servers” strategy. One of the main principles of such a strategy is that as soon as a Corporation starts advancing an installed card multiple times, it creates suspicion. Then, if the Corporation continues to advance it, the Runner becomes suspicious that it’s an agenda and will likely run at it. On the other hand, if a Jinteki player advances a card multiple times, then stops advancing it, the Runner will likely be convinced the card is a trap. Standard Jinteki practice is to simultaneously install an agenda and a number of traps and begin advancing one of the traps. However, if the Runner doesn’t take the bait, the time and energy directed toward the trap is wasted, and the installed card sits idle all game long. Trick of Light allows Jinteki to pursue its standard opening strategy, then switch once a card no longer carries its weight as bait. 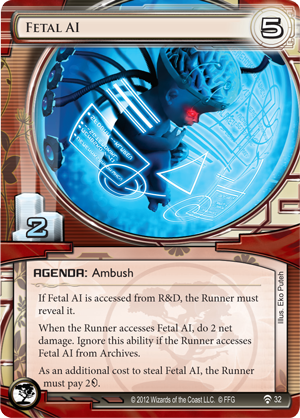 If nothing else, it forces the Runner to act earlier, once a card is installed, because the Jinteki player can simply transfer advancement counters in order to accelerate the agenda. With its focus on tricks, traps, and bluffing, Trace Amount provides a hefty boon to Jinteki, but each of the other identities also benefits. Keeping hidden knowledge hidden, and keeping your opponent guessing, are key elements of the game for all factions.